This is not a parish church at all, but the restored capella ad porta of a medieval abbey, set along a rutted lane in the middle of a field of horses. However, for those of us who don't like horses, the path up to it is reassuringly fenced in. 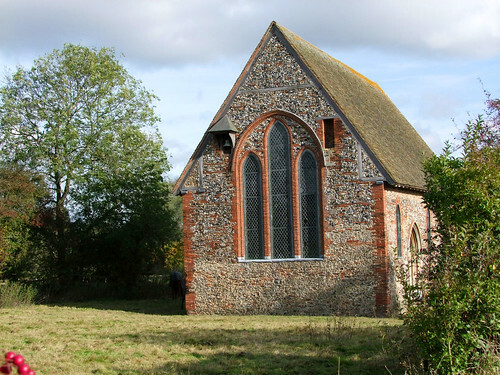 It isn't at all as attractive or interesting as the church at Tilty which performed a similar function, being virtually rebuilt in the 19th Century, and in any case was closed.